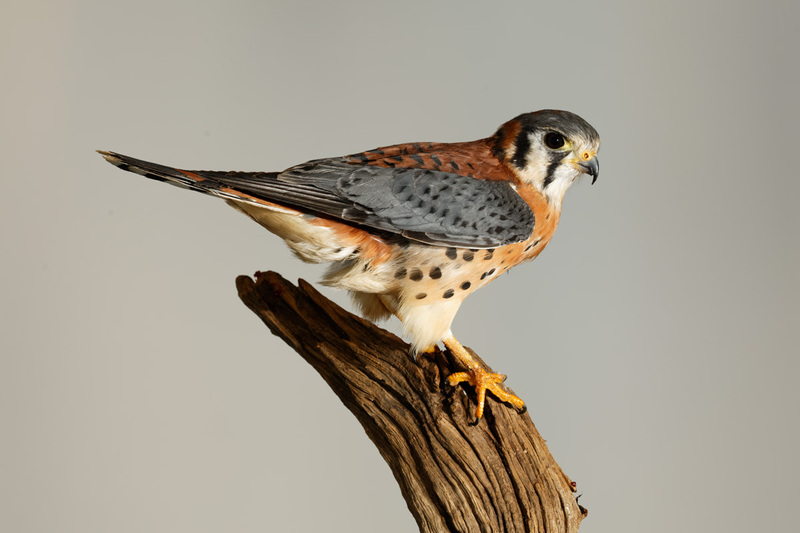 This week’s images are from this weekend as I once again enjoyed photographing this beautiful little falcon, the American Kestrel. Later this week, as we start climbing back into the 50’s, I plan to release this little guy back into the wild. He has been a lot of fun to fly over the past five months. But, this sport demands a tremendous amount of time and care to keep these birds in top physical condition. He will adjust fine within a few hours and be back hunting mice along roadsides and open fields from where I found him. That is the one thing I like about flying native birds to my area-they can be released back from where they came from. I call it borrowing nature, and I am thankful for the opportunity to enjoy the time I had with him.